The Build a Bot range is designed to advance your child’s educational journey with S.T.E.M. learning and interactive play. Hands-on and activity focused, Build a Bot gives children the confidence to take apart and play with mechanical parts, to create a strong grasp of technology. Reuse, reassemble and customise for added value and extended play! 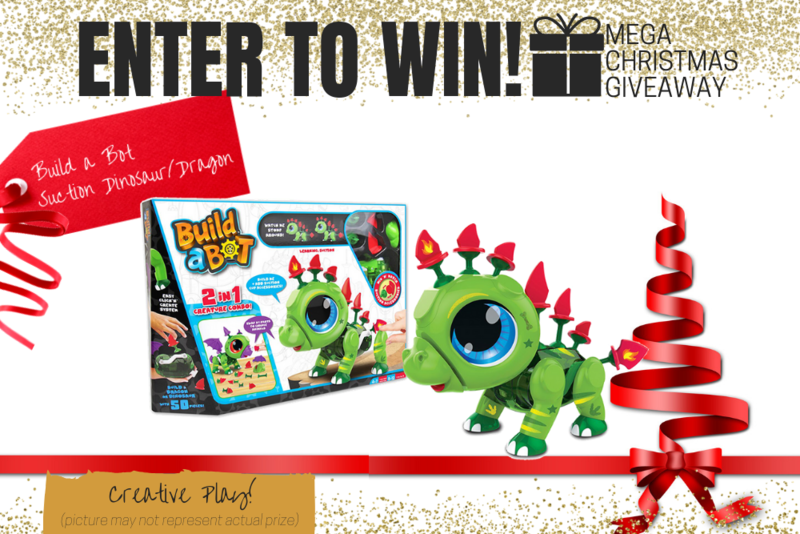 Build a Bot includes cute characters: Scatter Ant (RRP: $19.99), Sound Unicorn (RRP: $39.99), Suction Dinosaur/Dragon (RRP: $49.99) making it the perfect gift for children aged 4-12. Available from Big W, Kidstuff, Officeworks, Casey’s Toys, Mr Toys, Toyworld and Toymate. 1. **Build a Bot - Suction Dinosaur/Dragon. Total Prize Value $49.99** AUD (the "Prize"). 2. It is the responsibility of the winner to collect the Prize within 7 days of the end of the Competition Period from the Promoter’s Mornington office. 3. The Prize, or any part thereof, must be accepted as awarded and is non-negotiable, non-transferable to another person and non-convertible and is not transferable for cash. 4. The prize must be collected from the Promotors Mornington Office, unless otherwise advised.